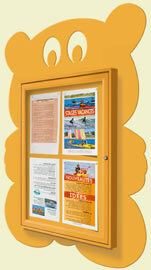 These are quality notice boards with all the strength and durability of our Traditional Notice Boards. 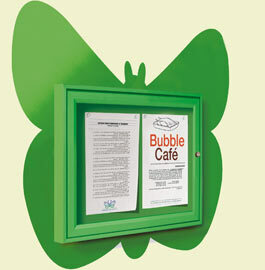 The colourful designs however make these notice boards and poster holder ideal in any child oriented environment - schools, playgroups, playgrounds, zoos, farm parks and amusement parks. 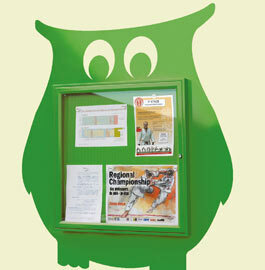 They will also brighten up other areas such as town halls, libraries and hospital. 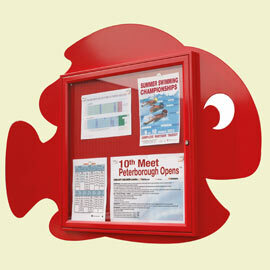 They are more than just a notice board - they are fun! 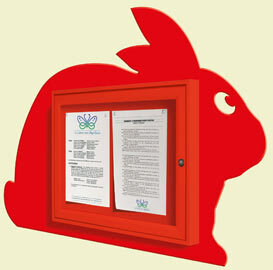 All the animal notice boards / poster holders are available in four lovely colours - Deep Yellow RAL 1017, Red RAL 3020, Blue RAL 6034, Green RAL 6018. Postage rate N (includes VAT) Cheaper shipping rates for more than one notice board. 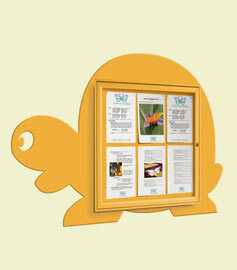 The notice board itself is made using a 30mm frame on zinc plated steel backboard. They are however transformed by mounting on these eye-catching plasma cut 2mm steel plate shapes. The whole board is then painted in one of four attractive colours. Being waterproof they are suitable for indoor or outdoor use. They are glazed with 4mm vandal resistant plexichoc. The safety lock is provided with two keys. 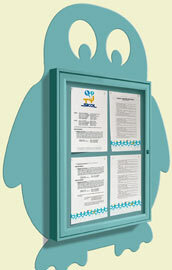 Magnets for holding paper or posters in place are also provided.